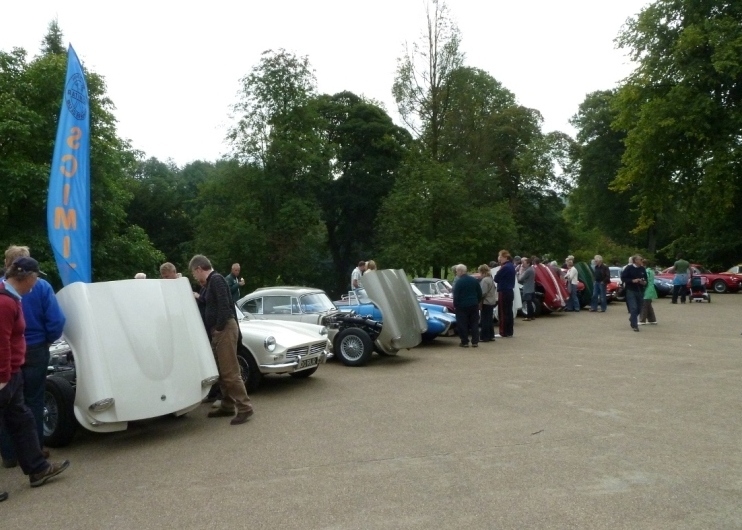 Our 2010 Sabra Sabre event took place over the first weekend in September. The organisers this year were Vin and Sylvia Ward and what an excellent job they did. Our base was the rather grand Lee Wood Hotel in the centre of Buxton. This was the 10th anniversary of these meetings. The first was held in Bruges, Belgium in 2000. In fact we had planned for this first event to be in the Champagne region of France but there was a fuel blockade in France and at the last moment we had to relocate. The attendees on that occasion were Jef and Els, Jacques and André and Carine all from Belgium and us, all regulars ever since. This year people started to arrive during Friday afternoon from Belgium and Luxembourg as well as the UK. It was good of the hotel to reserve spaces for our cars in their limited size car park although their spelling was interesting - the sign read: "RESERVED FOR SABORS GROUP". Following a welcome drink in the hotel's garden (see photo) we enjoyed a good evening dinner. On the Saturday morning, after a hearty breakfast, we set off to visit the National Tramway Museum at Crich near Matlock. Vin and Sylvia's route took us along beautiful country roads through the Peak District stopping on the way at David Rooke's pottery in the pretty village of Hartington. At the Tramway Museum arrangements had been made for us to park our cars along the main street, the centre point for the Museum (see photo). They made a splendid site with the trams passing by and attracted a lot of interest from other visitors. 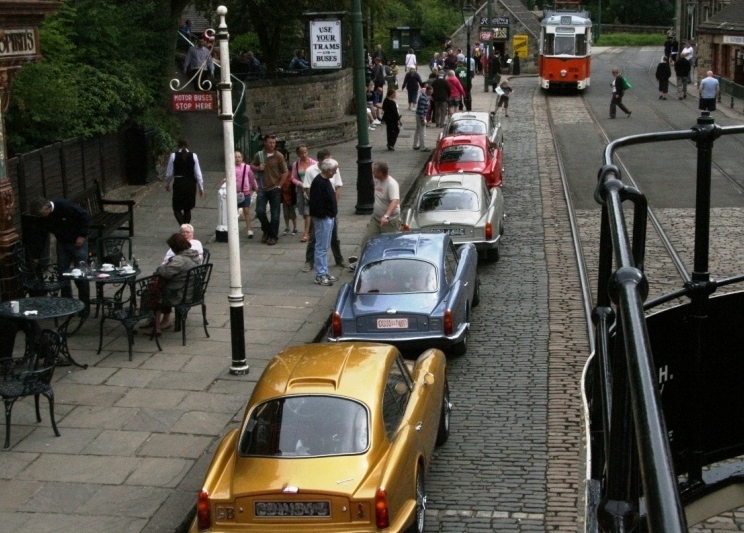 The Museum is a fascinating place offering unlimited tram rides an a variety of vehicles over an almost mile long route. In addition to the 60 or more working trams there were at least that number again in the various static display sheds plus a most impressive workshop where repairs and refurbishments were underway. We left the Museum at about 4pm, returning to Buxton via Matlock and Bakewell and stopping for refreshments at the Royal Oak in Moneyash. Saturday evening saw us enjoying a glass of champagne before an excellent dinner in Lee Wood's fine restaurant. On Sunday morning we took another tour of the Peak District, this time to the north around Edale with even more spectacular scenery. We stopped at Castleton for a break where we enjoyed the hospitality of Roger Thorpe, the owner of Castleton Garage. 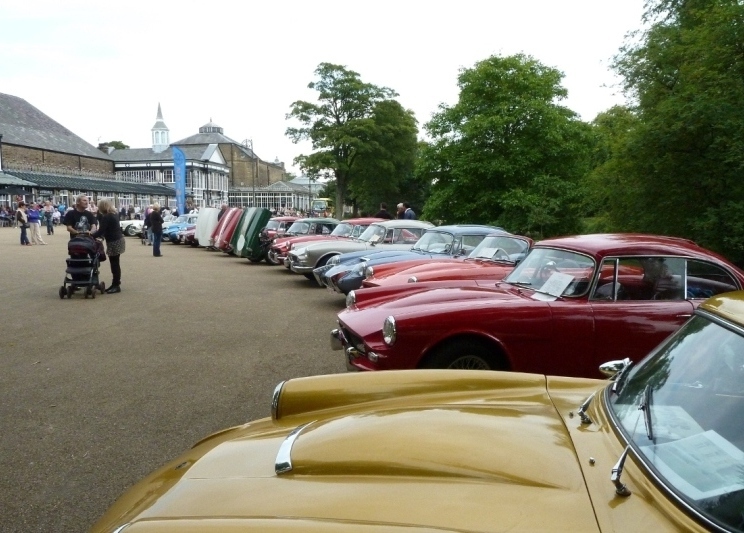 Roger's interest is vintage cars and we were able to admire his impressive collection of cars which included a Bugatti Brescia, an Austin 7 Chummy open tourer and a vast Prince Henry Vauxhall amongst others. All were taxed and insured and used regularly for trials and other competitive events. Our cars seemed very modern and sophisticated by comparison. 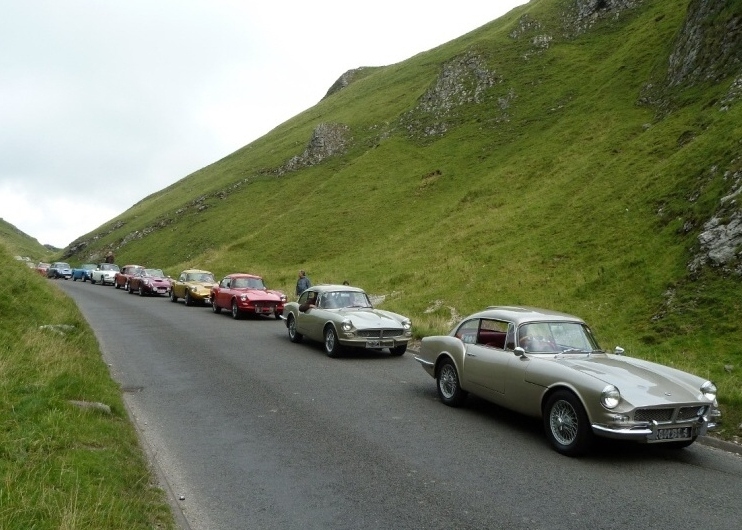 We then drove through the spectacular Winnats Pass where, much to the consternation of other motorists, we stopped briefly for a photo shoot (see photo). We believe this is a record for these cars - unless anyone knows better. At the end of another superb day we retreated to our hotel for another good dinner. Some of our party set off for home after Sunday but a few stayed on for another visit on Monday, again arranged by Vin and Sylvia, this time to the Anderton Boat Lift near Northwich. This is an amazing example of Victorian engineering, designed to lift canal barges from the River Weaver to the Trent and Mersey Canal some 60 feet higher. The facility comprises two counterbalanced tanks each weighing 252 tonnes when full with motive power coming from huge hydraulic rams. The lift was originally constructed in 1875 and used for more than 100 years before it closed due to serious corrosion in 1983. In 2000 restoration started after £7m was raised, partly via Heritage Lottery Funding, and it reopened to the public in 2002. Our visit included a boat trip along the Weaver culminating in a lift up to the Canal. Finally on Tuesday a few of us enjoyed coffee at Tony and Linda's house (where the boys admired Tony's other toys!) before our last lunch together at a local pub. This year's event was superb and we are very grateful to Vin and Sylvia for their meticulous planning and organisation which extended to the provision of excellent weather during the whole weekend.